It was founded in the VI century B.C. as a Greek settlement Tira. In the XII-XIII centuries it was part of Galyts'ko-Volyns'ke principality. Since 1484 it belonged to Turkey. 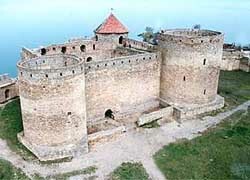 A Slavic name Bilhorod was changed into Akkerman - "white fortress". Since 1806 it was a part of Russia. In 1918-1940 it was under the jurisdiction of Romania.